An inaugural event where young people will learn how school subjects relate to all aspects of life in the Outer Hebrides is being held in Stornoway today and tomorrow (Monday 22 and Tuesday 23 June). The two-day conference entitled Ceangail (Connections) is being led by the Nicolson Institute, with support from Lews Castle College UHI, Crofting Connections, Highlands and Islands Enterprise (HIE), Comhairle nan Eilean Siar and local crofters and businesses. Pupils from schools in the islands have been invited to attend and will be inspired by crofting through practical sessions, discussions and field visits on the first day. The first day of the conference starts at Stornoway Auction Mart with a showcase of island produce and stock judging followed by field visits. Experts from various disciplines will work with teachers to deliver workshops relating to specific topics which feature in both national and higher courses. It will focus on a range of topics such as animal welfare, fieldwork techniques, soil testing, land ownership and Gaelic as an economic asset. A community event will be held in the afternoon and will feature keynote speaker Simon Erlanger from Isle of Harris Distillery, as well as representatives from The Scottish Salmon Company and the Stornoway Black Pudding Association. Crofting Connections works closely within the Curriculum for Excellence and is extending to include stronger partnerships between schools and community-owned crofting estates, crofting landlords and local businesses, including social enterprises. It also aims to provide young people with work skills which are relevant to the economic opportunities offered by their crofting communities. 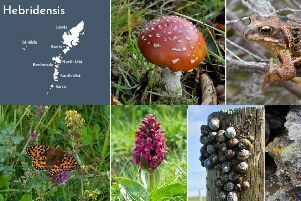 The Crofting Connections project is organised by the Soil Association and funded by HIE, Heritage Lottery Fund and Scottish Government with support from Scottish natural heritage and local authorities, including Comhairle nan Eilean Siar.